Welcome, Ashdon! Oh goodness, this little guy wasn’t so little! Coming in at almost 10 pounds, he was a big boy but oh so sweet. I mean, just look at those cheeks, they were made for kissing on! Blue is my favorite color~ especially light blue (which by the way, isn’t only for boys! Girls look fab in blue too, just saying)! I love this drop from Roses and Ruffles and teddy from Mary’s Knittin’. Oh and those cheeks! Do you know the self restraint it took not to love on him?? 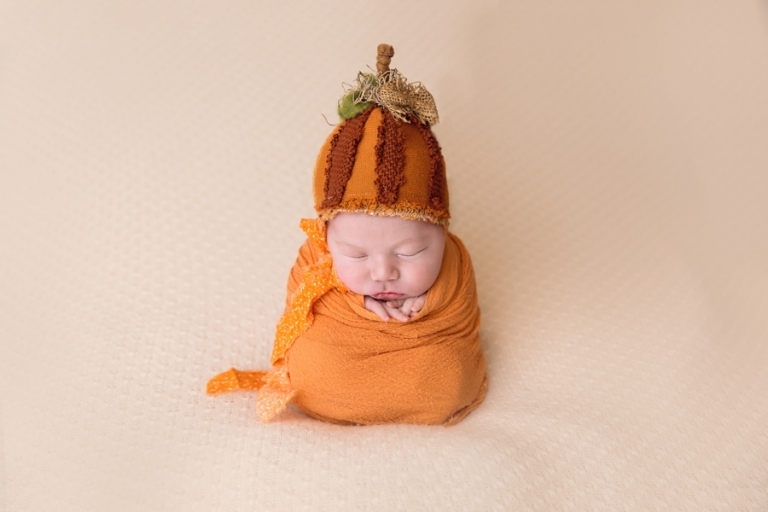 Well, it may have been HOT when Ashdon came for his session, but it was technically fall, so why not have a little pumpkin? Such an adorable hate by Whippoorwill Nest Boutique! Oh smoosh! That’s not a word, is it? It should be added to the dictionary with this picture. What a sweet big sister Ashdon has! This was the first time she was willing to have her photo taken with him, and while it took just a little coaxing, we were totally successful. I love the way she is looking at her baby brother in this one. I see many more pictures together in their future! Thank you so much for stopping by! Comments and shares are always appreciated. 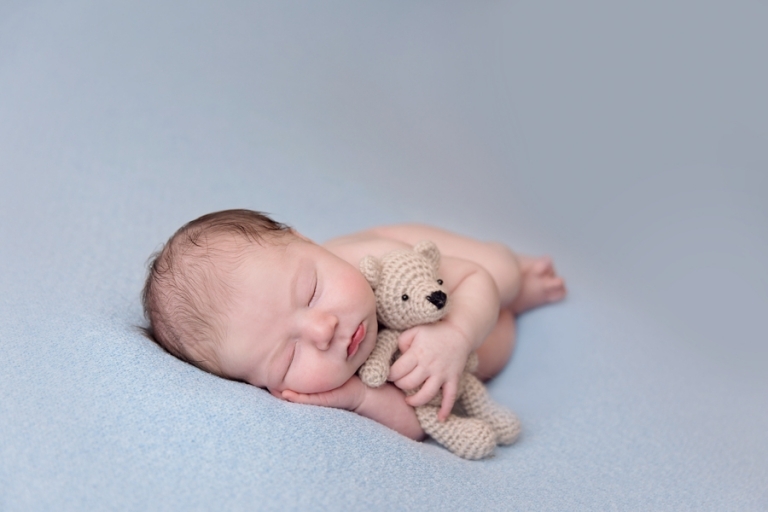 CLICK HERE TO LEARN MORE ABOUT NEWBORN SESSIONS or visit the NEWBORN SESSION INFORMATION PAGE. 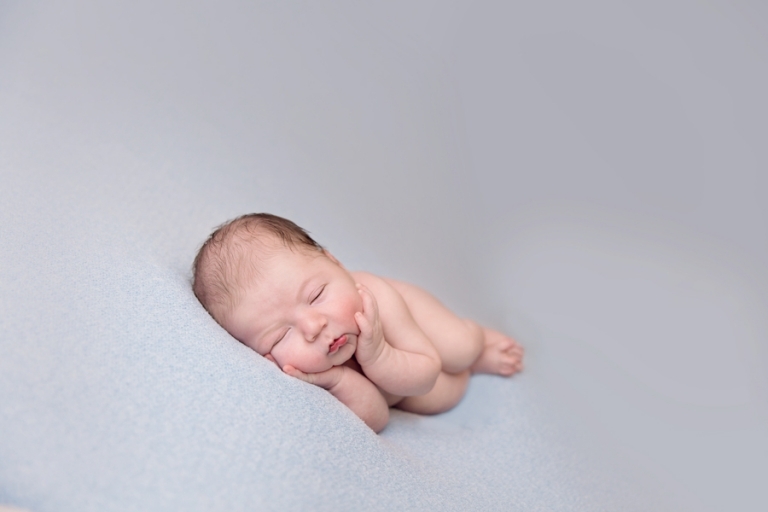 Mary Christine Photography is an Akron Ohio Photographer specializing in newborn photography. She serves greater Northeast Ohio, including Cleveland, Akron, Medina, Wooster, Brunswick, Wadsworth, and surrounding areas.